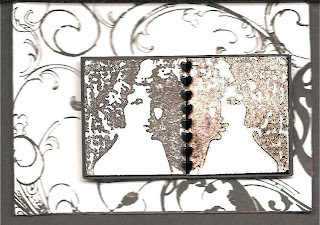 This atc was made for a swap with ARTic Blonde Yvonne and sent some weeks ago. I thought it had gone astray in the post but happily she has received it now. There were several atcs in the envelope and I'm pleased to be able to post them now as I've not been making much art over the past fortnight. 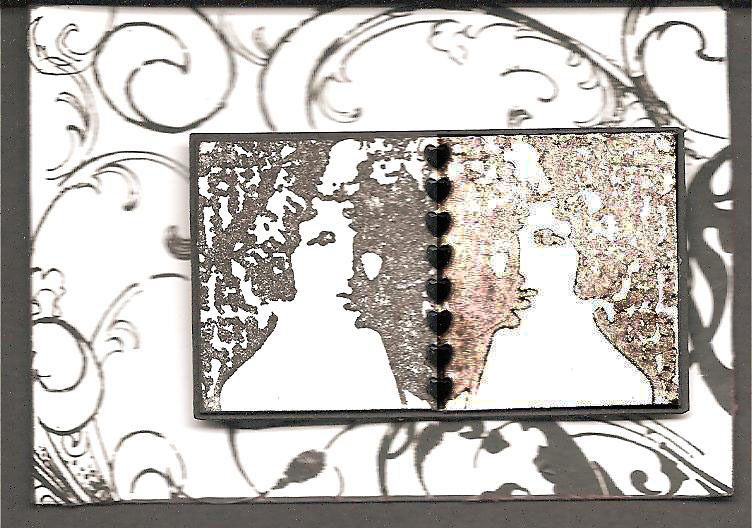 I used the brayer to reverse the image of the woman to make her reflection. How come I can manage to do that but not brayer a smooth background? oh my nail biting again!! will keep up the good wishes! Hope everything goes well. thinking of you.